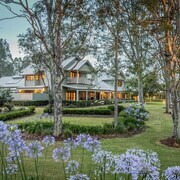 Hunter Valley Gardens, Aqua Gold, Pokolbin, Wineries. I loved the place,its quiet and the location is very convenient if you wanna visit the Hunter Valley Wineries in Pokolbin. 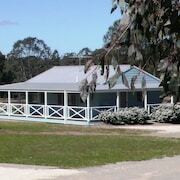 Lovely room away from the 'hustle' of Pokolbin with state of the art fixtures that made the stay luxurious. 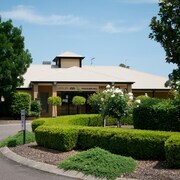 The hotel is located in Pokolbin, it is close to Hunter Valley Gardens and Roche Estate, but a car would be necessary. 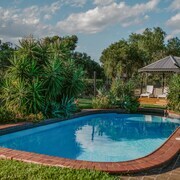 2 bedroom villa - both have ensuites plus there is 3rd toilet by lounge. Great privacy for 2 couples. Beautiful view. Villas are on hill so best to have car. Walk to villa is uphill. 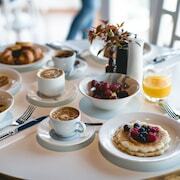 When resort is full - difficult to find table at breakfast - did not like this. Buffet food is not protected ie set further back, have covers or perspex shield over - so kids can't stick hands in ... breathe over food. The restaurant was a let down for dinner on easter friday eve. No atmosphere - not even background music- the chef sent out inadequate dish ( however this was corrected without a problem). Was a bit pricy. Better value and places elsewhere. Public holiday is not an excuse. If you going to provide a service than it should be accounted for - quality of service should not be affected. Which hotels are closest to the Pokolbin airport? 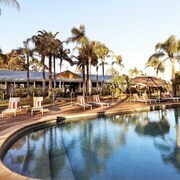 Where to stay near top Pokolbin attractions? 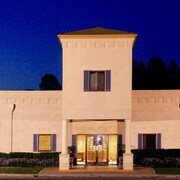 What kind of hotels are in Pokolbin? 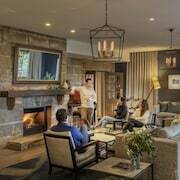 Which hotel chains are in Pokolbin? 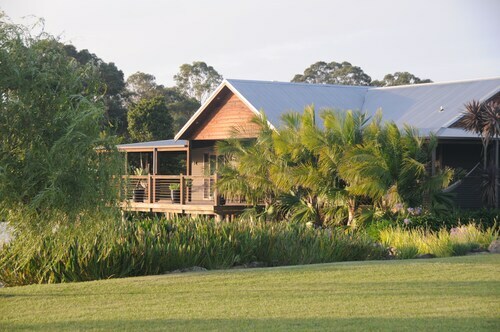 Families will find kid-friendly activities in Pokolbin, and visitors give high marks for the array of wineries, pristine golf courses, and beautiful gardens. This relaxing city also attracts tourists with its restaurants and spas. Top activities include wine tasting and golfing, while Tyrrell's Wines, Scarborough Wine Co, and De Luliis Wines are favorite sights to visit. 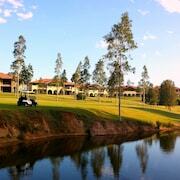 A couple of additional sights to add to your agenda are Hunter Valley Gardens and Brokenwood Wines. 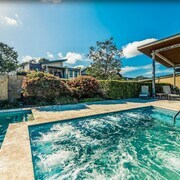 Deja Vu Estate - With a stay at this 5-star apartment, guests can enjoy access to free breakfast and an outdoor pool, along with a private spa tub. 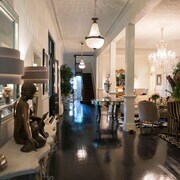 The Grange on Hermitage - Our customers like the breakfast and clean, comfortable rooms at this B&B. This 4.5-star bed & breakfast features free breakfast, free WiFi, and free parking. The Longhouse - With a stay at this 4.5-star apartment, guests can enjoy access to free parking and a terrace, along with an in-room kitchen. Pokolbin lies at the centre of the Hunter Valley region in New South Wales and is a great destination for gourmets and wine lovers. Numerous vineyards in all sizes offer cellar doors, cafés, excellent restaurants, and accommodation. Learn all about fermented grapes at the Hunter Valley Wine School at the Hunter Valley Resort, go on a wine tour in a horse-drawn wagon, or do tastings at the Hunter Valley Cheese Company, Hunter Distillery, or the Matilda Bay Brewhouse. If you are feeling adventurous, you can discover the area from above in a hot air balloon. Don’t forget to visit the renowned Hunter Valley Gardens, where you will marvel at the beauty of 60 acres of magnificent themed gardens. 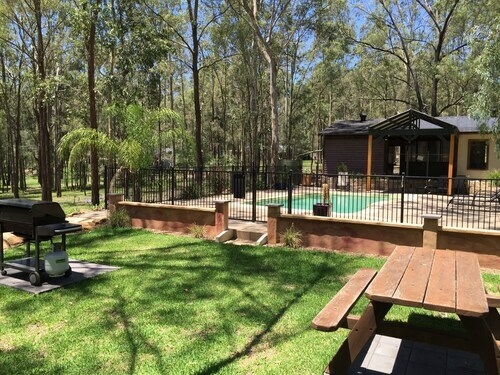 Accommodation in Pokolbin, Hunter Valley, is varied and ranges from luxurious boutique hotels, vineyard chalets, and cosy bed and breakfasts to cheap but comfortable motels and cabins. 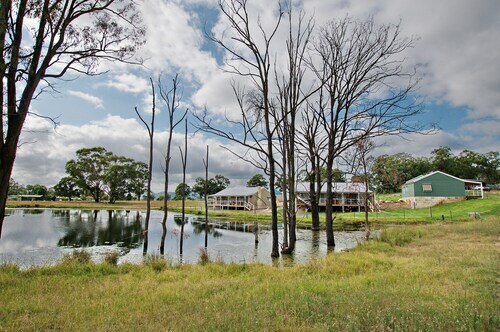 Pokolbin hotels are spread out over a large area with a denser concentration near the Hunter Valley Gardens along Broke Road. Pokolbin is located 160 km north of Sydney and 60 km west of Newcastle. The closest major airport is Newcastle Airport (NCL). Renting a car from us at Expedia.com.au is the easiest and most comfortable way to get to Pokolbin. Due to the distances between attractions, we don’t recommend public transport as a way to see the area. 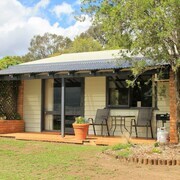 Browse our selection of Pokolbin accommodation here at Expedia.com.au and find specials and last minute offers that will make you want to pack your bags immediately. 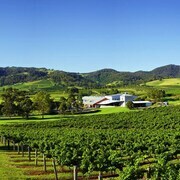 If you have a favourite wine from the Hunter Valley, check if the vineyard has accommodation, as many of them do. 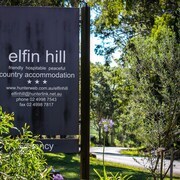 Book today and start looking forward to your gourmet weekend or romantic escape. 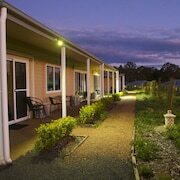 What are the most popular hotels in Pokolbin? 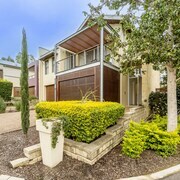 Are there hotels in cities near Pokolbin? 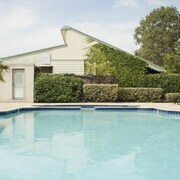 Explore Pokolbin with Expedia.com.au’s Travel Guides to find the best flights, cars, holiday packages and more!